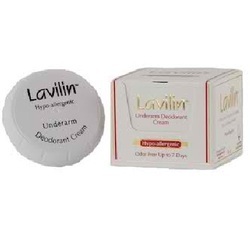 Lavilin the single application revolution odor free up to 7 days. A unique herbal deodorant cream. Alcohol, aluminum and paraben free! No need to re-apply after bathing, exercise or strenuous activity - Water resistant. Ideal for athletes.